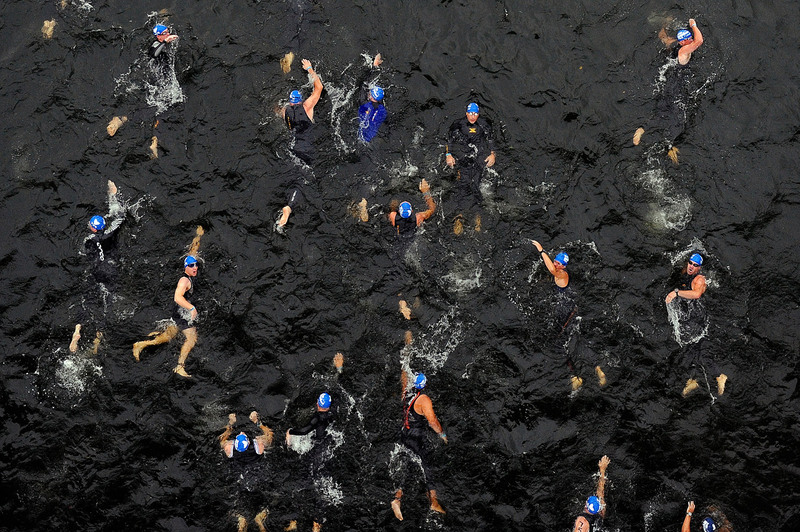 Male participants compete in the 1.2 mile swim Sept. 26, 2010 in Augusta, Ga. The annual ESI IronMan Augusta (70.3 miles) was one of the best half IronMan turnouts in the nation. A few thousand participated.